A closet is something we often neglect when we get busy. As we approach a new year, it is a time for resolutions, a time to tackle things we want to change. The new year is a great time to organize our closets and get the necessary space we need. So how do we take on this project? Here are some tips on how to get that closet organized. An excellent first step for organizing anything is decluttering. Whether that means taking all the clothes and other items out first or just going through the racks to find things you don’t need anymore, you need to make space. Depending on how big the closet is, consider taking an hour or two to go through all the items in the closet first. Take an honest look at the clothes and if you haven’t worn them for a year or more, get rid of them. A good tip is to store your most used and worn clothing and accessories on eye level, less-used items below eye level and the least-used items up high. Organizing it can also help next year when you are going through your clothes again and deciding if those things stored up high are worth keeping. Another way to maximize space, even in a smaller closet, is to create shelving. Whether you build the shelves yourself or have them made by someone else, these not only give you more real estate in your closet but can be an investment when selling a house. 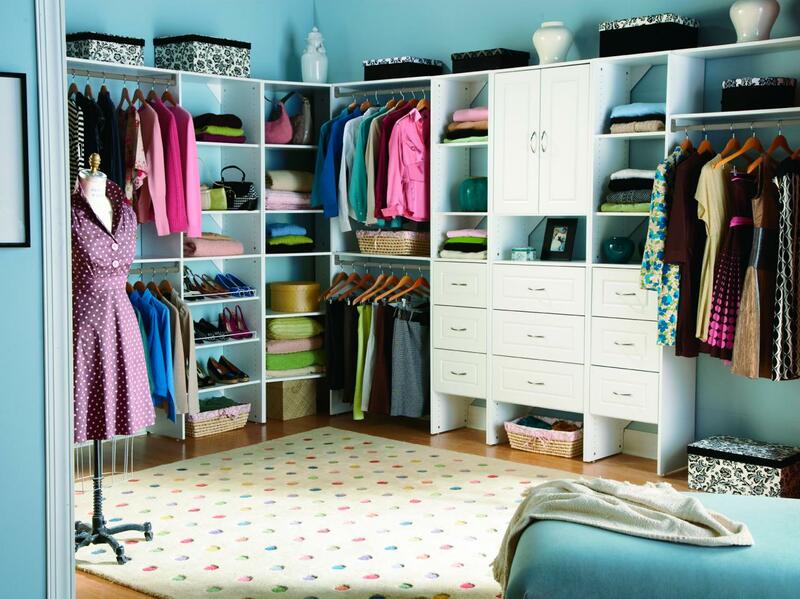 Make one area for clothes that need to be hung such as suits, dresses and dress shirts. For folded pieces, use slide-out storage crates and use boxes for odds and ends. When you have a place for everything, you will be more organized. Consider making a built-in closet to meet the needs of your space. If you have more shoes, or jewelry or clothes, you can customize the way your wardrobe works and maximize the use of your space. Hangers are a necessary part of the closet, but they can get overwhelming. Consider using matching hangers that will give your closet a clean look and will hold up well. Shelf dividers can be a simple, yet efficient way to break up a more significant shelf or space. It can allow you to stack higher and keep items separate from each other. You don’t always have to use doors in a closet. Especially when living in a smaller space, you might want to get a curtain or a screen to cover the area. Then you won’t have to deal with the swinging door. Closets are an overlooked space in a home, where you place where stack your clothes are when guests come. Take care of your closets, clean them out and organize them from time to time and they can give you more of the space that you desire.